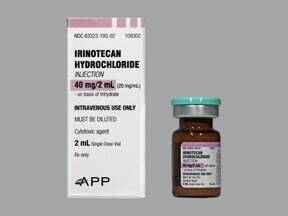 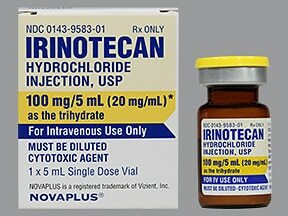 Who should not take Irinotecan HCL Vial? 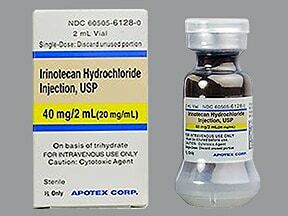 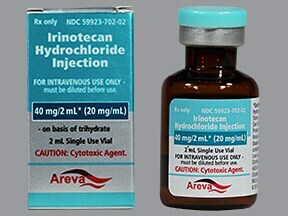 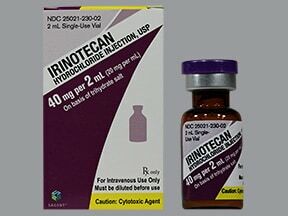 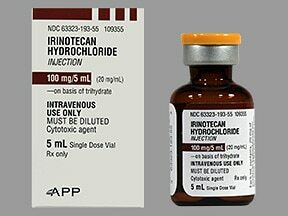 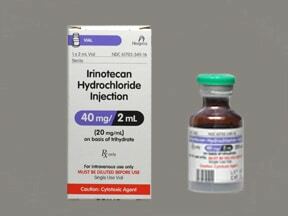 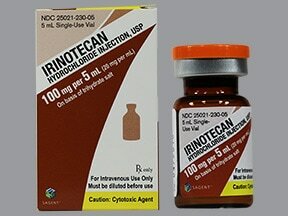 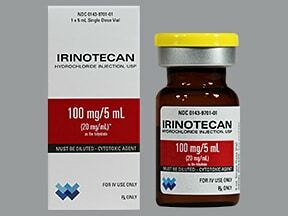 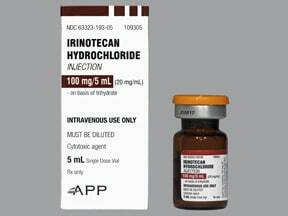 What conditions does Irinotecan HCL Vial treat? 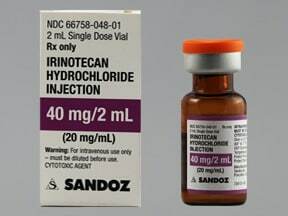 Tell your doctor right away if you have any serious side effects, including: pain/redness/swelling at the injection site or arms/legs, numbness/tingling/burning of arms/legs, black/bloody stools, signs of kidney problems (such as change in the amount of urine), lung problems (such as shortness of breath, cough). 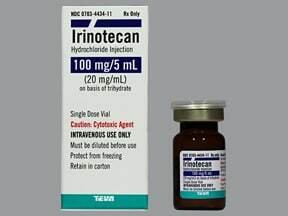 Get medical help right away if you have any very serious side effects, including: chest pain, weakness on one side of the body, slurred speech, confusion, trouble breathing. 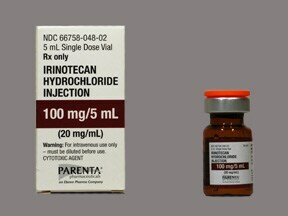 List Irinotecan HCL Vial side effects by likelihood and severity. 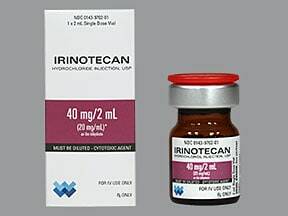 Before using this drug, tell your doctor your medical history, including: bowel blockage (e.g., paralytic ileus), certain genetic metabolism disorder (fructose intolerance), radiation treatments, blood/bone marrow disorders (e.g., low platelet/neutrophil/red blood cell levels), diabetes, liver disease, kidney disease, lung disease. 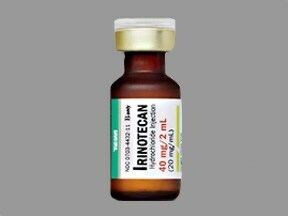 What should I know regarding pregnancy, nursing and administering Irinotecan HCL Vial to children or the elderly? 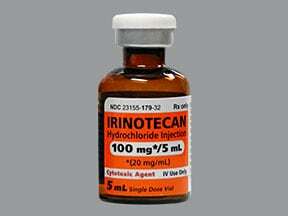 Some products that may interact with this drug include: laxatives, "water pills"/diuretics (e.g., furosemide). 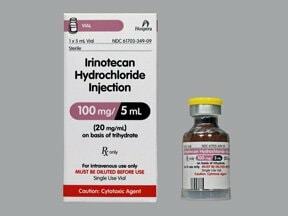 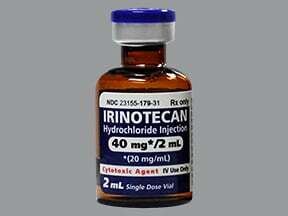 Are you taking Irinotecan HCL Vial? 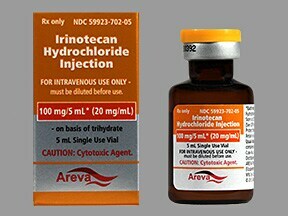 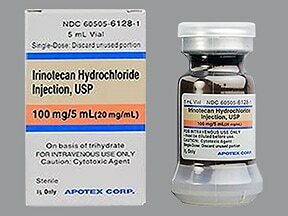 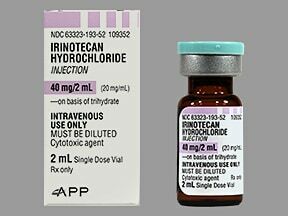 Are you considering switching to Irinotecan HCL Vial? 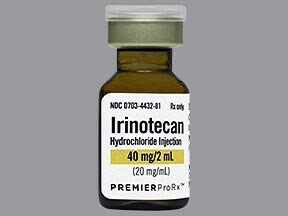 How long have you been taking Irinotecan HCL Vial?